Mix the crabmeat with the other ingredients in a bowl. Salt and pepper to taste and add olive oil. Serve and enjoy! You can use 1/4 cup of low-fat mayonnaise instead of the oil. You can add other vegetables. You can use crabsticks or shrimp instead of crabmeat. 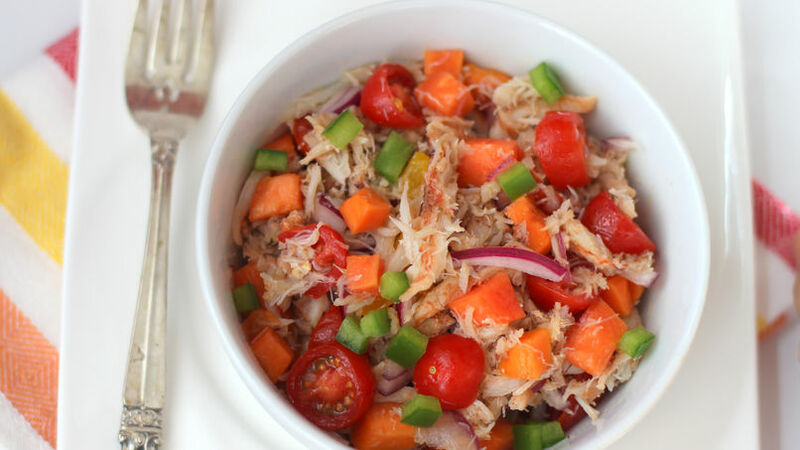 This refreshing crab salad with a touch of papaya is great for lunch or when served with cold pasta. Enjoy!